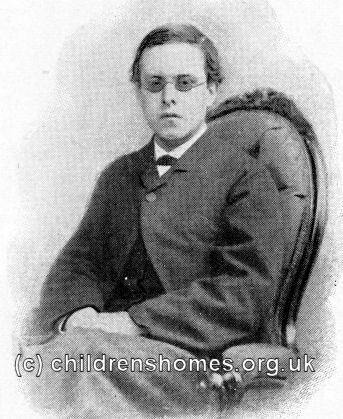 Thomas John Barnardo was born in Dublin on July 4th, 1845, the son of John Michaelis Barnardo, a Prussian-born furrier, and Abigail Matilda O'Brien. The couple had married in 1837 after the death of John's first wife, Elizabeth, who was Abigail's sister and the mother of five young children. The family continued to grow, with Thomas being John and Abigail's fourth son. He proved a somewhat delicate child, and academically bright, though he gained something of a reputation as a trouble-maker. After leaving St Patrick's Cathedral Grammar School, where the brutality of its principal, the Rev. William Dundas, left a considerable impression on Thomas, he worked for four years as an apprentice to a wine merchant. It was during this period, on 26th August 1862, that he underwent a Christian conversion during a religious revival that was sweeping the country. Soon afterwards, he joined the evangelical Plymouth Brethren movement, then decided to become a candidate for missionary work in China. In 1866, he moved to London to pursue his application for this scheme and to begin studies as a medical student. Staying in lodgings near Mile End Road in the East End of London, Barnardo witnessed the poverty of many of those living there. He also saw at first hand the effects of a cholera epidemic in the area which killed more than three thousand people and devastated countless families. Being judged as unready for the China mission, and unable to register for study at the London Hospital until the autumn of 1867, he made contact with local Plymouth Brethren and began preaching in the streets of Stepney. He also started to teach at the Ernest Street ragged school and the success of his work soon led to his becoming its superintendent though he fell out with the school's committee and left with the aim of opening his own establishment.